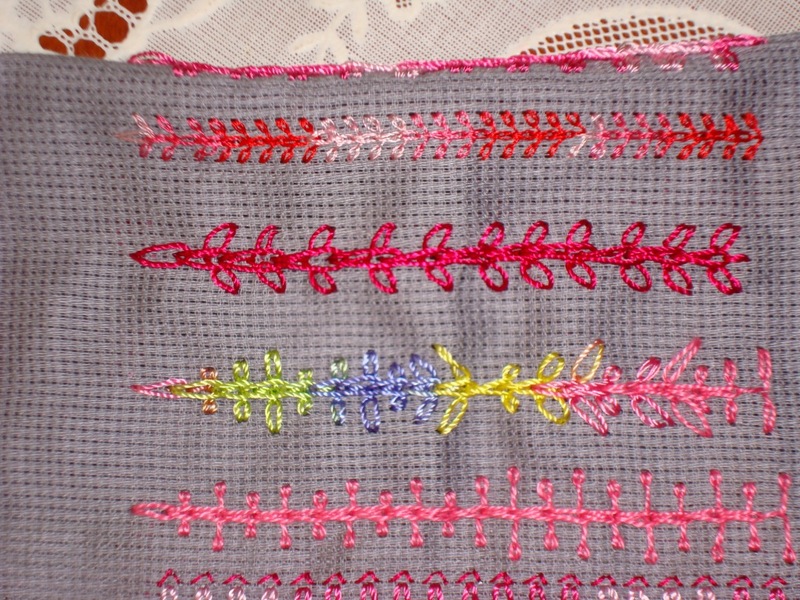 learnt to do the stitch on the first row. The chain st in the middle, is made long&short alternatively . Here, the chain sts on the top and bottom are made in adjacent holes. The side chainsts are from left to right. I tried some similar variations of the side chain sts. Here, the height of the longtailed side chain sts [really long word] are varied alternatively. 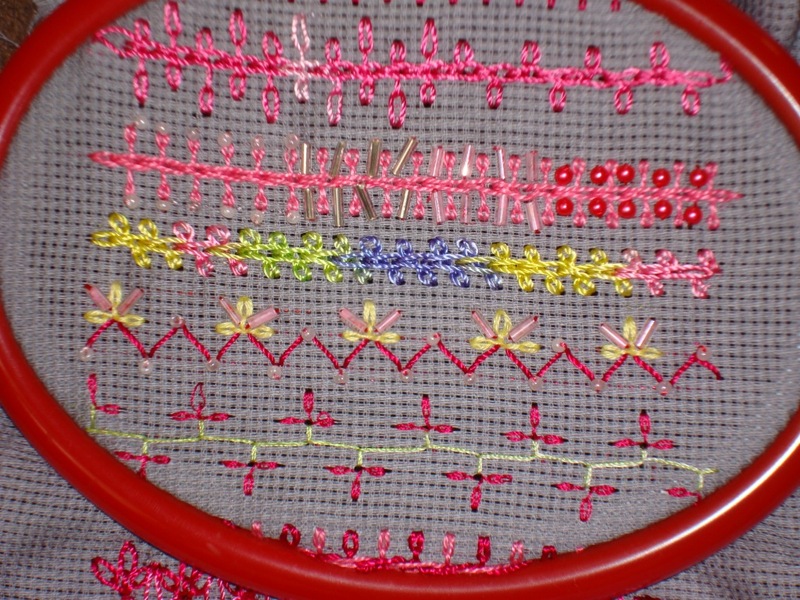 Iam really enjoying this sampler,since Iam only typing the variations now! 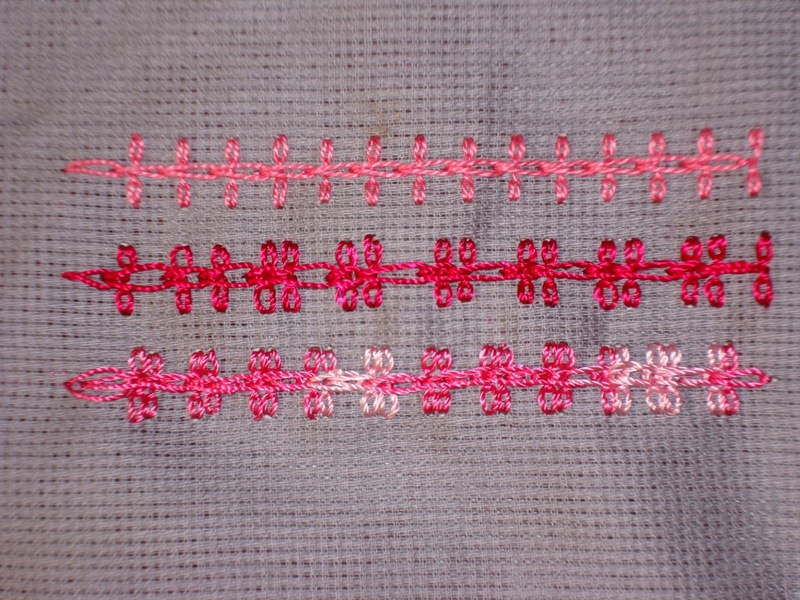 This row of triple chainst is capped with fly stitches. 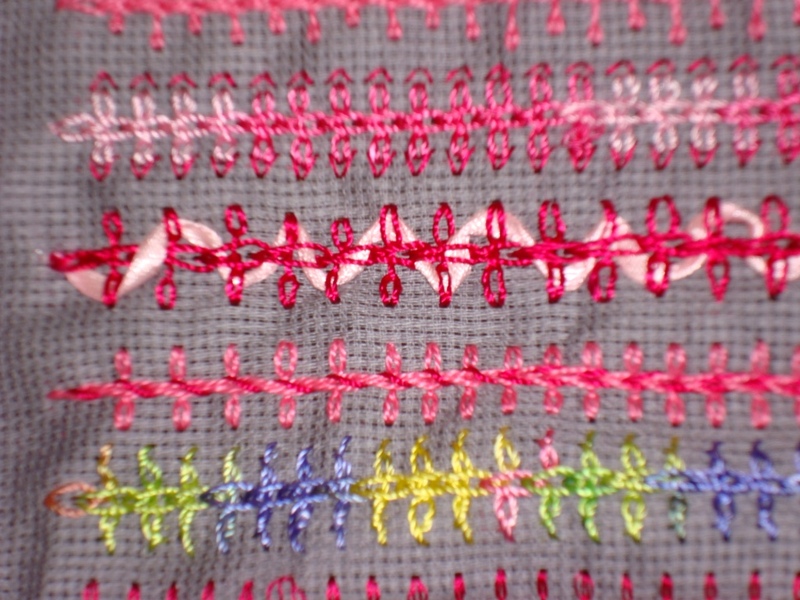 Laced this row with a ribbon[though not perfectly] you get the idea. the sides chains are notusual chains , but twisted chains.HA! HA!. 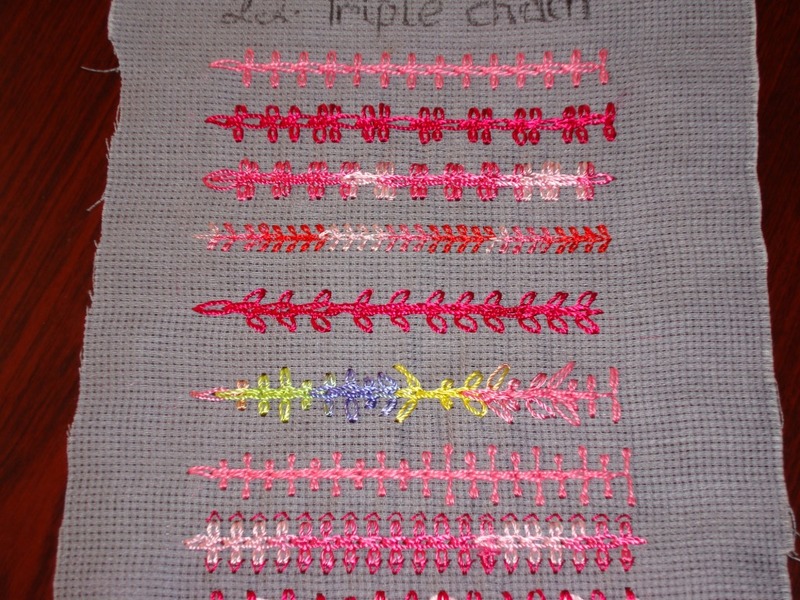 the top chain sts are normal chains and the bottom ones are longtailed. In this row there are two variations in the height of the side chain sts. 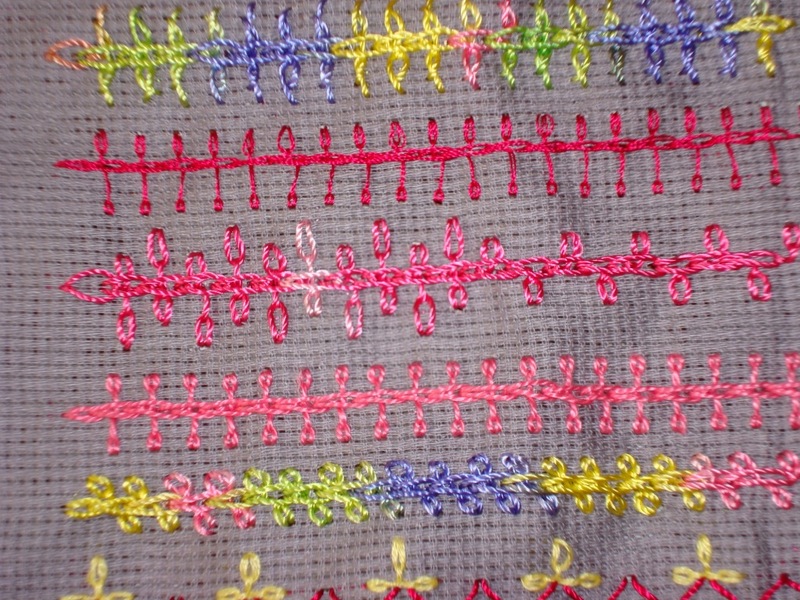 This row is for adding beads later. this row the side stitches are leaning to the left. A row of zigzag back st, single triple chainst[is that correct?] and shabby beads. 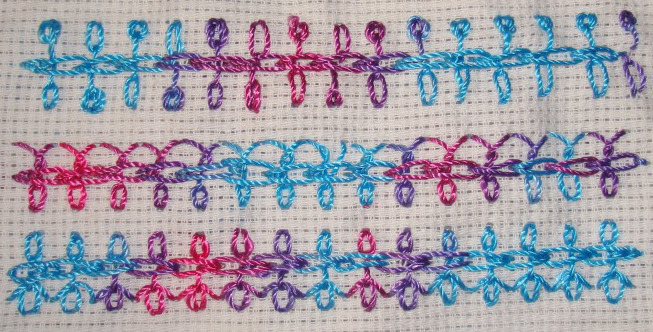 A really wide cretan stitch with triple chain st.
Two rows of vertical version of this st. 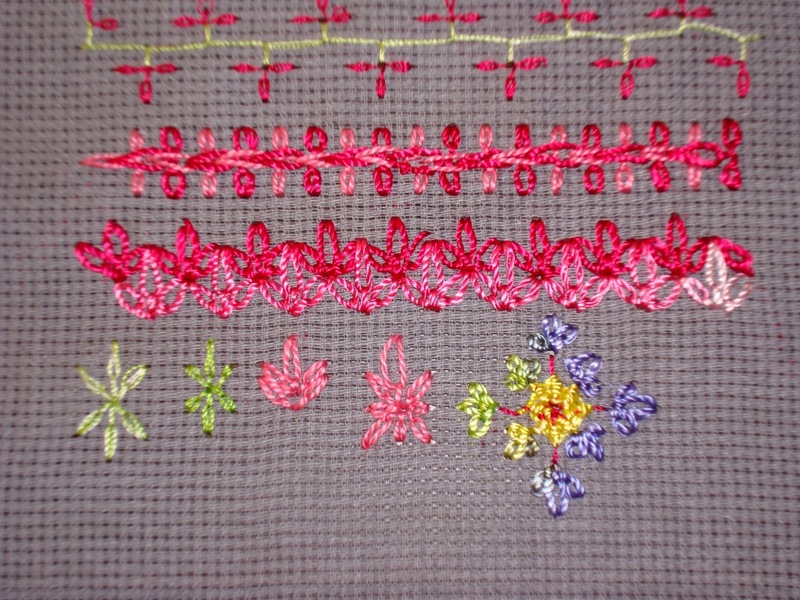 Tried some motifs with this stitch. 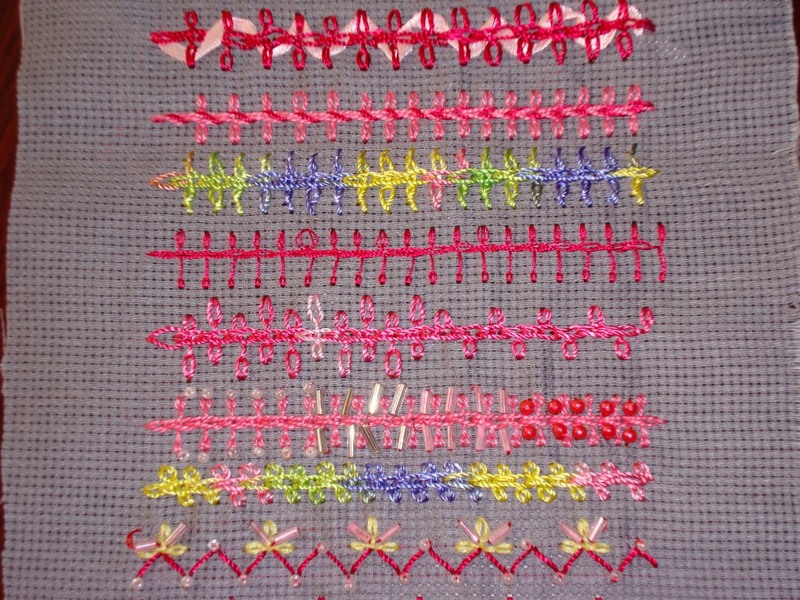 The sampler is done.It is 14 inches in height. 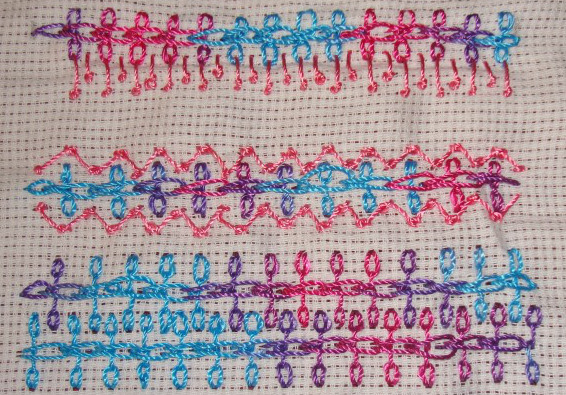 I enjoyed doing this sampler.From this sampler I have started measuring the height of the sampler piece.